Highpoint Lowlife has served the underground world of electronic faithfully for ten years. 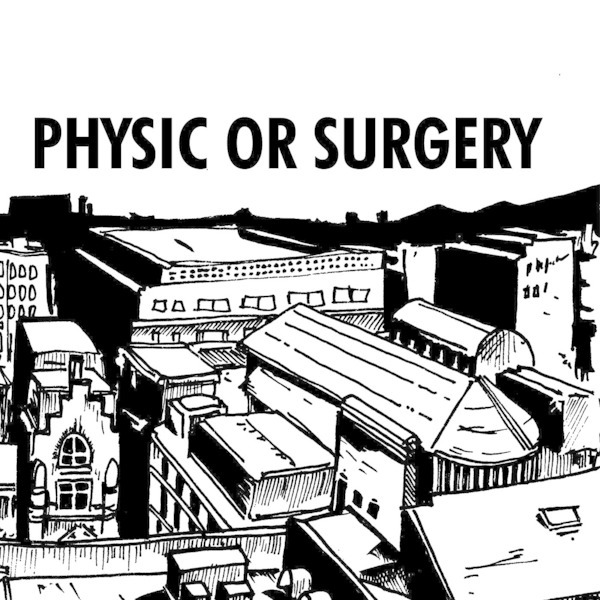 They shut their doors with a swansong compilation 'Physic Or Surgery', which is also the title of a comic series set in Bradford 2034 drawn by label founder, Thorsten Sideb0ard. It includes new and unreleased tracks by the likes of Dalglish (aka OST), Brassica, Ali Renault, The Village Orchestra, Hot City, Roof Light and many more, 28 in total. Highlights have to be the discombobulated grandeur of Dalglish's 'Mordsun', the metallic Garage glide of Production Unit's 'Lord Save Uss', or the wriggling minimalism of Spatial's 'Checks Out', but we're sure you'll have your own. Farewell, HPLL!